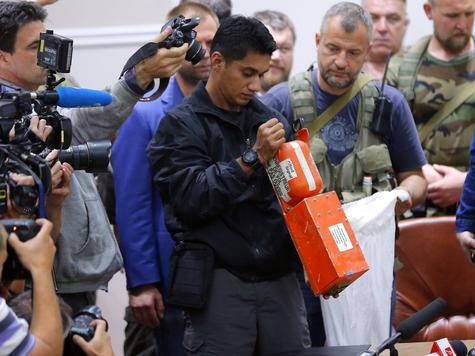 Ukrainian separatists have handed over two flight-data recorders from the downed MH17 plane to Malaysian experts. EU foreign ministers will consider more sanctions against Russia on Tuesday. EU foreign ministers, meeting in Brussels, are thought likely to discuss expanding the list of Russian officials targeted by sanctions, but have so far steered clear of targeting whole sectors of the Russian economy. Both the EU and the US imposed sanctions on Moscow following its annexation of Crimea and the outbreak of hostilities in eastern Ukraine. Experts say the “black boxes” will reveal the exact time of the incident and the altitude and precise position of the aircraft. The head of the Malaysian delegation at the handover in Donetsk told reporters that the recorders were “in good condition”. The handover followed talks between the rebel commander and self-styled Prime Minister of the Donetsk People’s Republic Alexander Borodai and the Malaysian PM Najib Razak, according to a statement of Najib Razak. The Malaysian prime minister also said those talks led to the rebels agreeing to allow the bodies to be transported to Kharkiv and international investigators to access the area. “In recent days, there were times I wanted to give greater voice to the anger and grief that the Malaysian people feel and that I feel,” he said. Pro-Russian rebels allowed a freight train carrying the bodies of 282 passengers to be moved from a town near the crash site to Donetsk on Monday. The Malaysian experts and a Dutch delegation are travelling with the train to the city of Kharkiv, where it is expected to arrive later on Tuesday. From there, the bodies will be prepared for transfer by air to the Netherlands where forensic experts will evaluate and identify them. Meanwhile a UN resolution, proposed by Australia, was passed calling for a “full, thorough and independent international investigation” into the downing of the plane over Grabove on July 17.